One of the biggest “improvements” that Mozilla claims is the Firefox memory usage, in particular, the vanquishing of memory leaks. 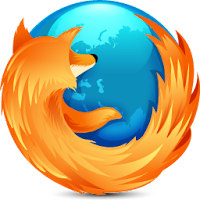 Although Firefox memory usage improved a little over the last few years, it still uses a lot of memory; a little more than I feel comfortable with and for this reason I created Firemin. We like keeping our apps running for a few days (that’s just the way I roll) and because of this Firefox was using over ~800MB of memory after about 3 days. It’s quite normal for Firefox to be sucking up over 200MB of memory right off the bat. In a memory leak you’ll see the memory usage keep increasing the longer the program is open/in-use and this is exactly what happens with Firefox. Rather than complain about it, we decided to fix it. Enter Firemin; simply put, it will attempt to eliminate Firefox memory leaks and decrease the amount of memory Firefox uses. All I did was tweak our Memory Booster a little and applied it to Firefox (including Firefox extensions) and all the memory leaks was gone. Windows will also periodically scan running processes and tell them to release their unused memory. You could argue that this makes Firemin unnecessary, and you would be spot on. However, It is my opinion that Windows does not clean out memory as often as I would like it to. Firemin runs the clean memory API call a few times per second.